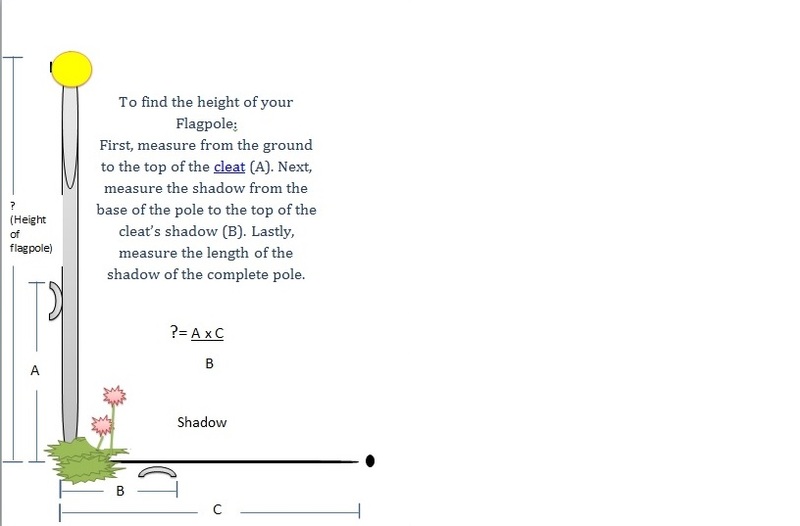 Many people don’t know what the height of their flagpoles is, so Flag-works would like to share a trick to on how to measure it. I hope you all enjoy it. This entry was posted in Flagpoles, Uncategorized and tagged aluminum flagpoles, fiberglass flagpoles, Flag-Works, Flagpole Accessories, flagpoles, height of Flagpole, in-ground flagpoles on July 29, 2015 by admin.